Congresswoman Susan Davis speaks at the Hunger Advocacy Network’s (HAN) Legislative Breakfast on March 22. Housing on Merit has been a long-standing member of the Hunger Advocacy Network (HAN) and the San Diego Hunger Coalition. 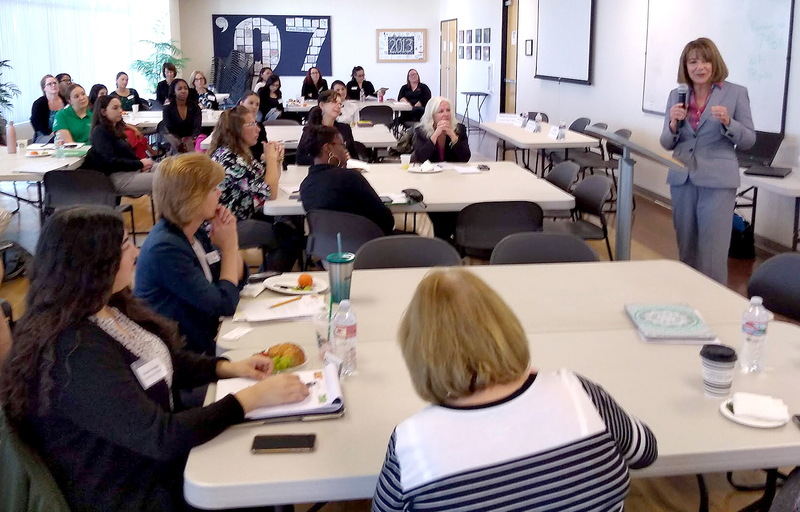 In a show of support to end hunger in San Diego County, Housing on Merit’s Planning & Programming Coordinator, Vivian Preciado, attended HAN’s Legislative Breakfast on March 22. The annual event was attended by legislators, staff, and like-minded organizations who advocate for better policies statewide that will reduce hunger. Food insecurity is a significant issue in San Diego, where there the affordable housing crisis often forces working and military families to make difficult choices. This year’s speakers included Congresswoman Susan Davis and representatives from Feeding San Diego, the San Diego Food Bank and Jewish Family Service of San Diego.